Was it an accident or intentional? A hot potato: Russia has reason to believe that a leak discovered in its Soyuz spacecraft docked aboard the ISS was caused by human hands. But, was it an accident or intentional sabotage? 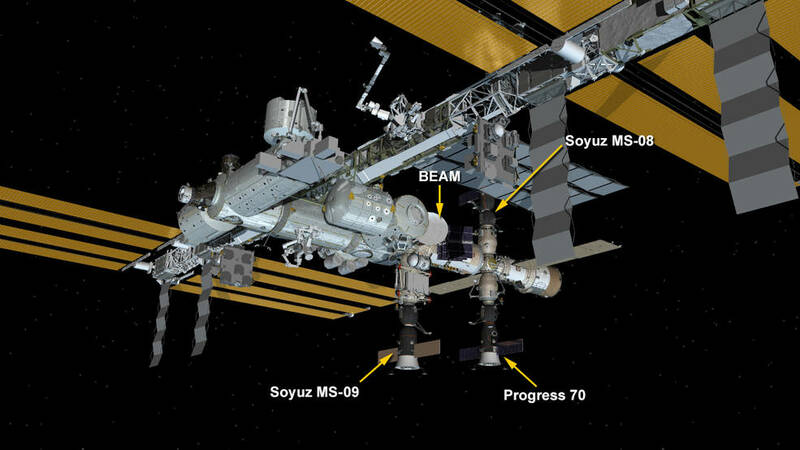 Astronauts aboard the International Space Station were on alert last week after a small hole was discovered in the orbital compartment of the docked Soyuz MS-09 spacecraft. The hole measured just two millimeters in diameter but was large enough to cause a minor reduction in pressure aboard the space station. Fortunately, crew members were able to plug the hole using an epoxy-coated gauze wipe. According to NASA, the crew was never in any danger and normal work resumed on Friday. Initial reports suggested the hole may have been caused by a tiny meteorite impact but this week, the narrative seems to be evolving into one of potential sabotage. It’s too early to say what happened for sure, Rogozin said, but the damage was done by a human hand as there are traces of a drill sliding along the surface. “We don’t reject any theories,” he said. The Roscosmos boss said the agency aims to find out if it was an accident or deliberate measure and whether it took place on Earth or in space. “Now it is essential to see the reason, to learn the name of the one responsible for that. And we will find out, without fail," he vowed.